Our little webapp marketplace is growing up so quickly. Over the last past two and a half months, robhudson and I have been working with the ESRB (Entertainment Software Rating Board) to integrate their new International Age Rating Coalition (IARC) system into the Firefox Marketplace. IARC is a system that unifies multiple age rating systems respective to different countries to make it simpler for content creators to obtain a content rating for their products. 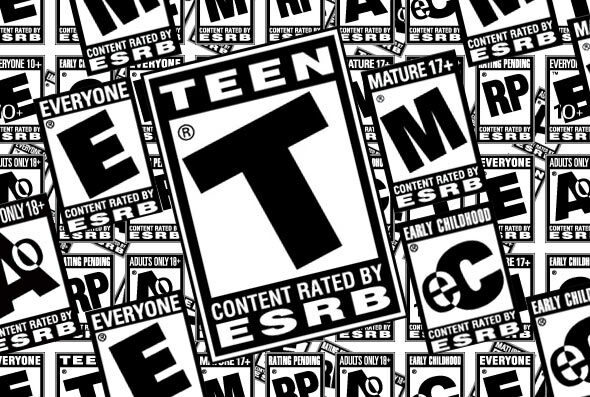 For those not familiar with age-based content ratings, they are most popularly known for their use in games and movies, such as Rated M for Mature for Violence or Suitable for Ages 13 and Up. The Firefox Marketplace has become the first storefront to implement IARC, and as such it was a bit of a new experience for both parties. We both grew up together; we tackle becoming a full-fledged store, and they prepare to fry larger fish (i.e. Nintendo or Sony). For some background, FirefoxOS recently launched in Brazil and Germany in late 2013. Brazil and Germany have strict and legal age rating requirements for digitally-distributed games, with laws requiring self-rating through an approved age rating system (i.e. CLASSIND for Brazil or USK for Germany). Our Marketplace, in order to list the games in those regions, had to display content ratings for those games. Before implementing IARC, we built a temporary system that allowed our app reviewers to manually enter in content ratings for individual games that were only applicable to Brazil and Germany. Now with IARC, developers can obtain content ratings on their own which are applicable to all regions. Developers are led from the Marketplace through an IARC portal where they can fill out a yes/no questionnaire that inquires about the content of their app (e.g. Does it contain violence?, Does it contain crude humor). Although the app is self-rated, IARC will occasionally do spot-checks and manually update the rating. Marketplace app reviewers may also spot any inconsistencies between the app’s rating and the app’s content. Upon filling out the form, developers are redirected back to the Marketplace where their content rating will be registered to their app by both Marketplace and IARC. If the developer ever released their app on another storefront, their rating would conveniently follow that product. When people visit their app’s listing page on the Marketplace, they will be able to read all about the its content rating. 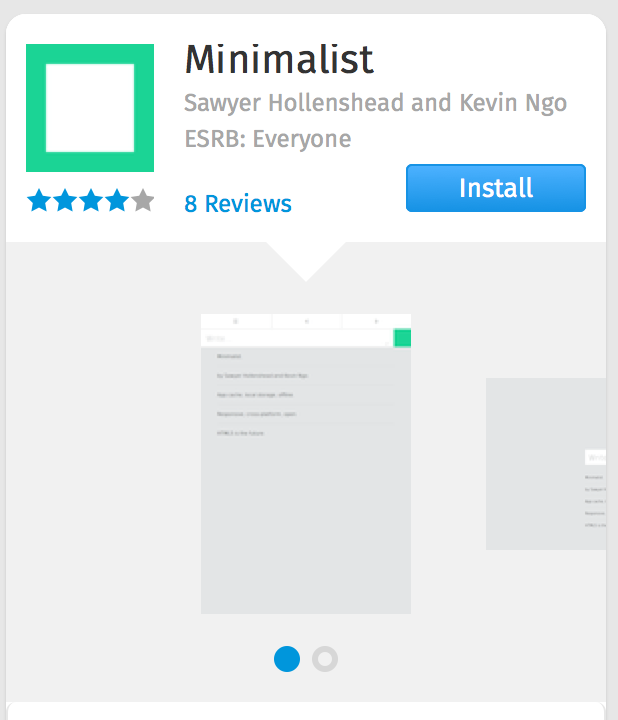 Minimalist, an app with content ratings on the Firefox Marketplace. We organized development in this Bugzilla tracking bug. Throughout development, ESRB has been very responsive with communication, in making sure our system was correctly implemented and in ironing out bugs on their side. Currently, the IARC supports the ESRB, PEGI, CLASSIND, and USK rating systems. More will likely follow.